......the time in Viet Nam was not unlike the Army motto.....hurry up and wait....a lot of idle time punctuated by some serious and dangerous moments. Had the opportunity.....ok.....had to travel all over the country in order to get the information necessary to develop the besautiful maps that were made by carto and repro platoons....this involved being in a lot of strange places..and sometimes...at the wrong time. 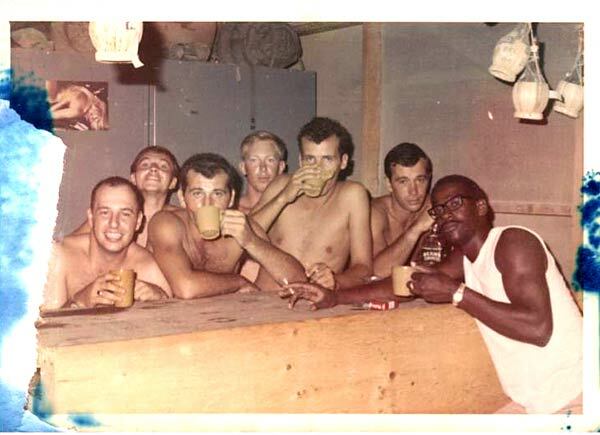 I remember spending time on the beach in Nha Trang and liberating steaks from the consolidaded mess....and playing volleyball....set up a bar in our barracks where we used to spend time singing and....drinking heavily....as well as other forms of recreation. The most memorable time was beind awakened by exploding 120 mm mortars at 1:30 am on Jan. 31, 1968...the beginning of the Tet offensive.....jst happened to be down in Long Bihn with the 66th Engr. Co. Topo.....spent four nights in a hole waiting for the VC to come through us to the fuel dump....I remember the aviation company next door putting up helicopters thet did manouvers that I thought were physically impossible. It was due to those 20 yr old kids up there that saved our asses that week. Other than a fractured ear drum, all came out ok. 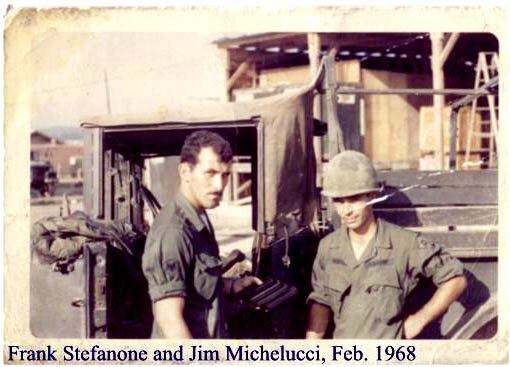 I remember meeting and working with some great people....Jim Michelucci, (who was killed in a car accident after coming home) Al Ruffo( who during a fight, asked Jim Mic to hold his teeth) John Schaetzel, John Canada (who I remember liberated apple pies for us on Cu Lao Re). Joe Williams, Cliff Hearne (who kept my guitar) Willie Moses, an instrument repair guy.....and many more. 2001: Enjoying life and looking forward to the future. 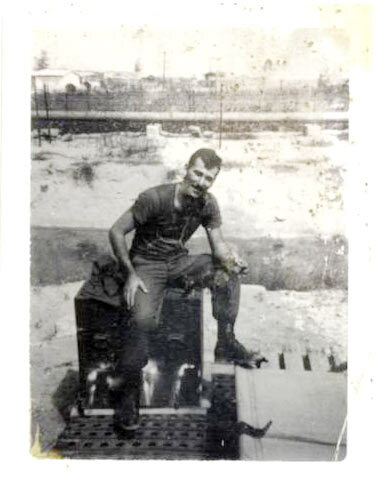 Life after Vietnam: On returning to the world....the frst thing I remember after mustring out.....standing at the airport waiting for my father to pick me up, and....a man came up to me, thanked me for being in the service and offered me a ride home. Always will remember that. I started going to night school at the University of Buffalo on and off since 1969. Graduated in 2000...at the same time that my son Greg did. I got married in 1970 and started to work in the construction business as a surveyor...In 1976 I became a superintendent and I have been having a good time ever since then....it's been a joy to go to work just about every morning. Frank sent us these Great Pics.